We all know the old adage that a consultant is someone who borrows your watch to tell you the time, and then keeps your watch, so the joke goes. There are plenty of other ones along similar lines, all suggesting that what a management consultant does is charge people an awful lot of money for delivering something they already knew. The fact that the jokes endure hint at the sense of controversy that surrounds the profession; what does a management consultant really do, is there still room for consultancy in a world of coaching? This is the question that came up at our Monday morning meeting. We debated whether or not we were in danger of throwing the baby out with the bath water in ‘dumbing down’ our skill set in management consulting, given that LTI was founded on consultancy? 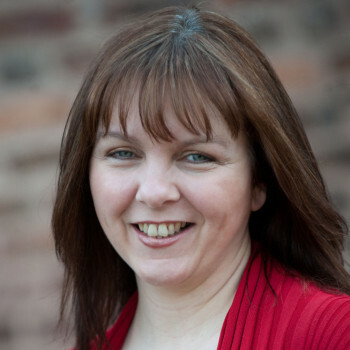 Jo Lord began her days as a learning and development consultant. She was (and still is) exceptional at it. Clients value her ability to take the wider perspective and the objective and knowledgeable advice that she offers. Discussing her work pointed us to another dimension of consultancy that we had not previously considered. Consulting has an energetic quality to it that is unquantifiable but can be tangibly felt. When you are stuck, the energy of being advised or even told what to do can have the effect of releasing you from stuckness, whether you take the advice or not! Being stuck in your own perspective is agonising, it generates an internal atmosphere of inertia and sloth and drains you of the energy that is required for insight. Consultants are free from the swamp of your personal inertia and can bring a freeing energy to the stuckness, they see clearly and have the expertise to speak from a place of knowledge. In short good consultancy has an immediate impact. It is the beginning of a conversation. After our meeting we decided to trial a new idea called ‘Consultation Stations.’ Consultation stations are quite simply an opportunity to come and get a fresh perspective on your workplace challenges without the obligation of ‘bringing in a consultant.’ At the moment this is a trial to test demand, so we are offering 10 free sessions to those who would welcome such an experience. Jo will be taki ng up residence at a ‘station’ near you and sessions will take a couple of hours over a cup of coffee. If you fancy taking some time out to get a new perspective and picking the brains of someone free from the constraints of your organisation, why not get in touch with Jo and book yourself a slot?